While in Thailand, U.S. citizens are subject to its laws and regulations. Persons violating the law in Thailand, even unknowingly, may be fined, arrested, and/or deported. If detained, a U.S. citizen will have to go through the Thai legal process of being charged, prosecuted, and possibly convicted and sentenced. It is important to keep in mind that the legal process in Thailand can differ significantly from the one in the United States and may not provide the same protections available in the United States. In the event of an arrest, the U.S. Embassy will do all that it can to ensure that a U.S. citizen is not discriminated against under local Thai law, but it will not be able to guarantee the same protections available under U.S. law. U.S. consular officers provide a wide variety of services to U.S. citizens arrested abroad and their families; however, they cannot interfere in the Thai judicial process. If a U.S. citizen is arrested, ACS Consular officials should be notified immediately. This may be done by the police at the time of arrest, or by a friend or relative of the detainee. The provisions of the Privacy Act are designed to protect the privacy and rights of Americans, but occasionally they complicate our efforts to assist citizens abroad. As a rule, consular officers may not reveal information regarding an individual American’s location, welfare, intentions, or problems to anyone, including family members and Congressional representatives, without the expressed written consent of that individual. Although sympathetic to the distress this can cause concerned families, consular officers must comply with the provisions of the Privacy Act. Visit a U.S. citizen in jail after being notified of the arrest. Regularly visit a U.S. citizen detained in Thailand. During these visits the consular officer can check on the health and well-being of the detainee, and the treatment provided by the Thai authorities. Notify a family member or friend of the arrest and relay any requests the detainee may have. Provide information to family and friends in the U.S. who wish to send money to the detainee. Provide information about judicial process in Thailand. Provide a list of local attorneys. Facilitate communication with family, friends, and legal counsel (subject to local law and regulations). Work to ensure that the detainee receives fair and humane treatment in accordance with Thai law. Follow the progress of the case in the judicial system. Provide reading materials to the prison authorities which are donated by the local community (subject to local laws and regulations). Assist incarcerated Americans with requesting medical and dental care through the prison (all medical costs must be paid by the detainee’s funds). Address any mistreatment by local officials while incarcerated. Intervene in the Thai justice system or get U.S. citizens released from jail. Represent a U.S. citizen in legal proceedings or give legal advice. Pay legal fees and/or fines with U.S. Government funds. Contract an attorney to represent a U.S. citizen in court. 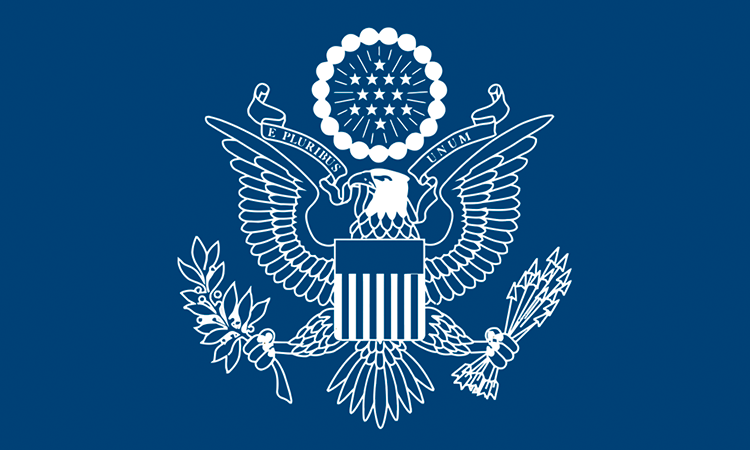 Additional information can be found on the State Department’s website at Arrest or Detention of an American Citizen Abroad. Information regarding criminal penalties in Thailand can be found at Thailand Country Specific Information. Arrest: Police may hold you for questioning for up to 48 hours without judicial review. Then, police must either release you or take you before a judge for a “show cause” hearing. There, the judge will either order your release or decide that there are reasonable grounds to continue detention for 12 days while the alleged crime is investigated. Investigative Detention: At this point, police will transfer you from their holding cell to a remand prison. (See “The Thai Penal System,” below.) Until the prosecutor files charges, a judge must reauthorize detention every 12 days. A judge may authorize a maximum of seven 12-day investigative detention periods (84 days total). For most offenses, there is the possibility of release on bail, but you must usually provide cash or assets located in Thailand as surety. Filing Charges: No later than 91 days after your arrest (84 days of investigation, plus 7 days for prosecutorial review), the prosecutor must file formal charges. If the judge agrees with the charges, the case enters the pre-trial period. Your attorney, the prosecutor and the court will negotiate a trial date based on their schedules and availability. Pre-Trial: This period can last a few weeks or a few months depending on the court’s caseload and the negotiated trial date. There is no discovery process in the Thai court system, so you will not have access to evidence before the trial. In general, there is little you can do to affect the way your case is presented. Most Thai attorneys make these decisions with little consultation with their clients. Trial: There are no jury trials in Thailand. Instead, a single judge usually decides misdemeanor cases, while two or more judges are required for more serious cases. Trials are conducted in Thai, and translation might not be available. Depending on the nature of the case, your trial could take one day or several days. You will not know the outcome immediately. The verdict reading will take place several weeks after the trial. Sentencing: There are no mandatory rules about sentencing in criminal cases, but Thai judges must consider all circumstances pertaining to an offense as well as its severity. The usual penalty for a criminal conviction is a fine, imprisonment, or both. It is sometimes possible to get a lesser or suspended sentence by admitting guilt. However, this might not prevent you from being deported after trial. Sentences in drug-related cases can be much more severe than those for similar offenses in the U.S.
Appeal: If convicted, you have 30 days to decide whether to appeal. You can appeal either the guilty verdict or the severity of the sentence. The prosecutor can also appeal if you are acquitted or the state considers the sentence too light. Appeals are reviews of the case record by a panel of judges. There are two levels of appeal: Courts of Appeal (there is one in Chiang Mai) and the Supreme Court (in Bangkok). Appeal to either of these levels can take months or years. If you are convicted and have finished your appeals, you may seek a Royal Pardon by application through prison authorities. The Thai Penal System: Overcrowding is common in Thai jails and prisons, and cells might be cramped. You will be provided with meals, though the type and quantity of food might be very different from what you are used to. You may receive visitors during designated hours. They can purchase additional food, toiletries, and comfort items for you at a special prison store. They also can deposit money in your prison account for you to use at the store. You may send and receive letters, but the prison administration will review mail and can withhold any items it deems insulting or defamatory. If you are convicted, the Thai Department of Corrections can transfer you to a prison anywhere in Thailand. Foreigners often are transferred to Klongprem Prison in Bangkok. In northern Thailand, you will be placed in a provincial prison where you committed the crime and were convicted. Under certain circumstances, you may apply to be transferred to a prison in the United States. Foreigners are typically deported after serving their prison sentences in Thailand.